Lowest price per square foot in neighborhood. 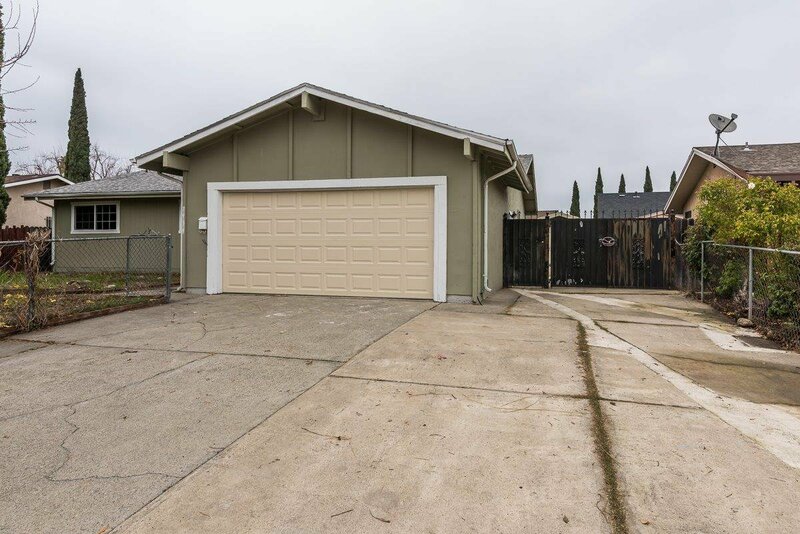 With 3 Bedroom, 2 Bath, 1687 Sq Ft. New kitchen cabinets with granite counter and stainless sink, New bathrooms with new vanities and beautiful shower enclosures, New laminate and tile flooring, New light fixtures. Separate family/dining area. Dual Pane windows in most rooms. Large area for boat/trailer. Patio area for summer BBQ's. Large Workshop/garden shed. Fresh interior and exterior paint. New Garage Door. Close to shopping, Freeways, Consumes River College, public transportation, hospitals. Move-in ready. Listing courtesy of White House Real Estate. Selling Office: RE/MAX Gold Stockton.